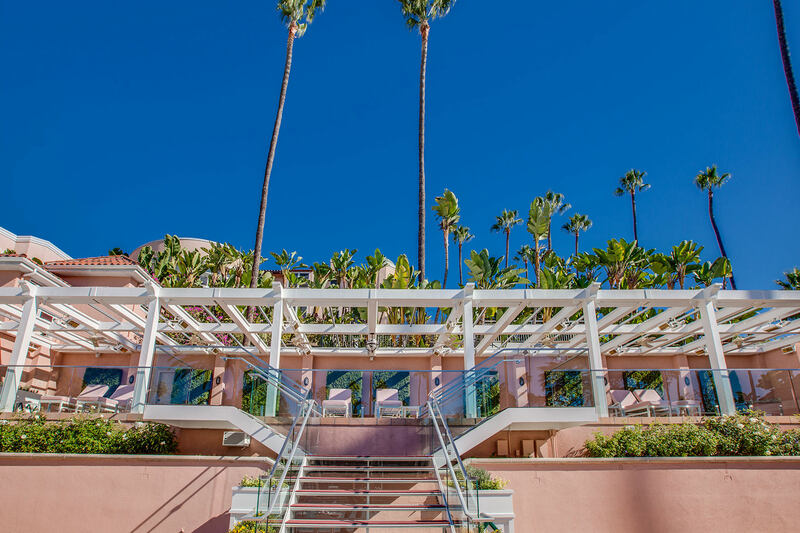 ShadeFX is proud to be protecting Hollywood’s ‘A’ listers from harmful and age-accelerating UV rays here at the Historic Beverly Hills Hotel in Los Angeles. 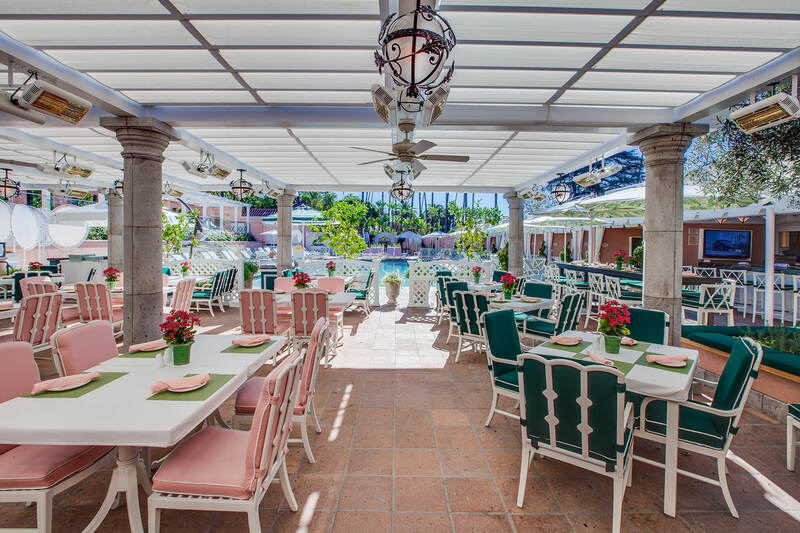 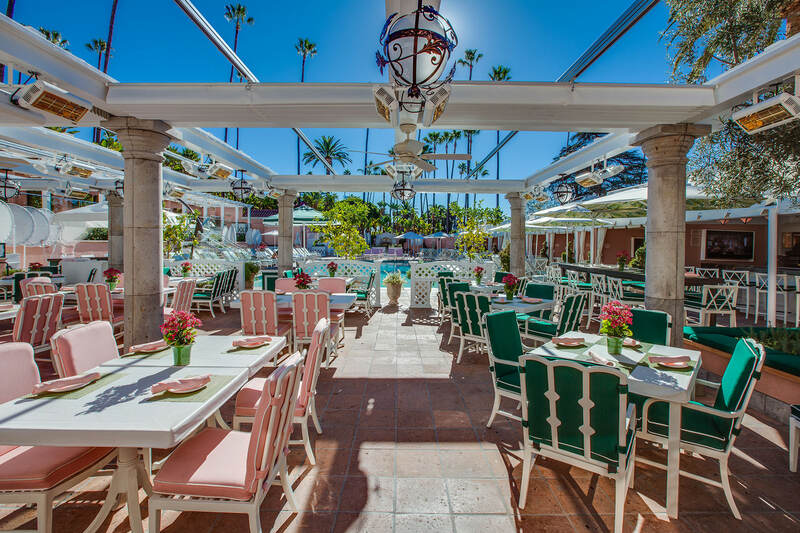 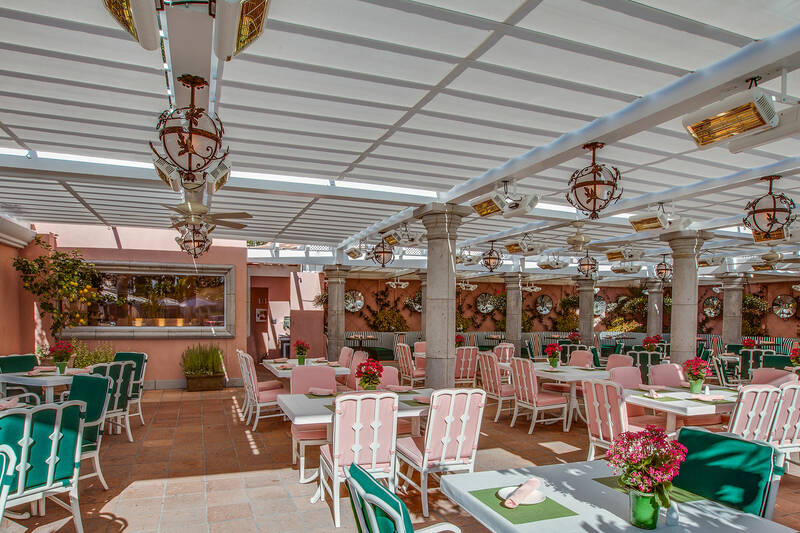 A total of fifty-one retractable canopies cover the Cabana Café and the Upper Pool Deck at this world-famous landmark. 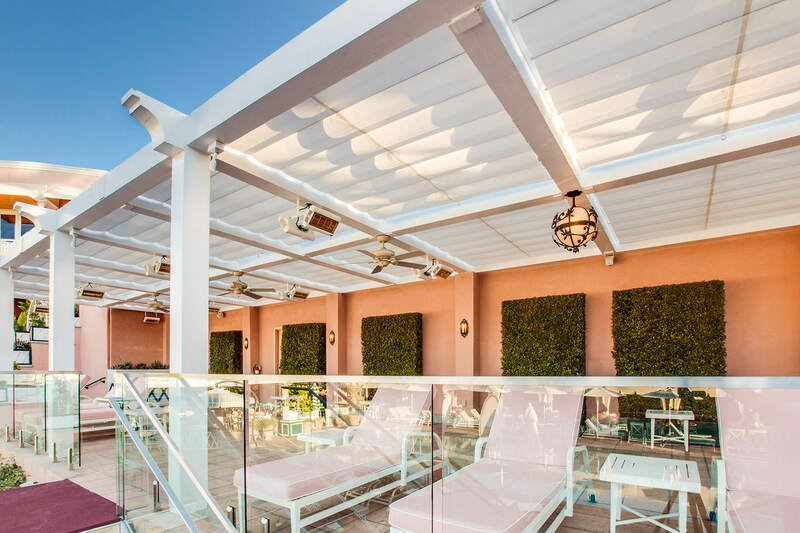 It’s been said if you look hard enough, when the light is just right, you can see the shadow of Marilyn Monroe silhouetted in canopy twenty-seven. 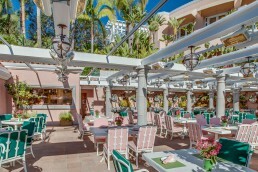 It’s doubtful that illusion was planned for in the careful design and installation by Stanford Sign and Awning of San Diego. Their attention to detail resulted in canopies integrated into the existing pergola framework as if they were originally made for it. 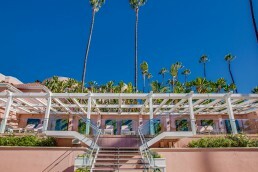 Notice the extremely short canopy drop, the frame matching gloss white paint of the mechanisms, and the long unsupported spans of the tracks. 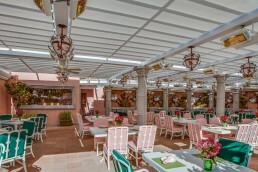 The ‘slim’ dimensions of these canopies made that possible. 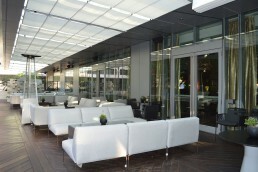 It’s an honour for ShadeFX to have a place among the stars in the land that dreams built. 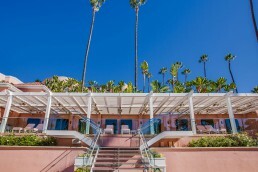 Our sincere thanks go to Stanford Sign and Awning, and to the Beverly Hills Hotel for dreaming what ShadeFX made real. 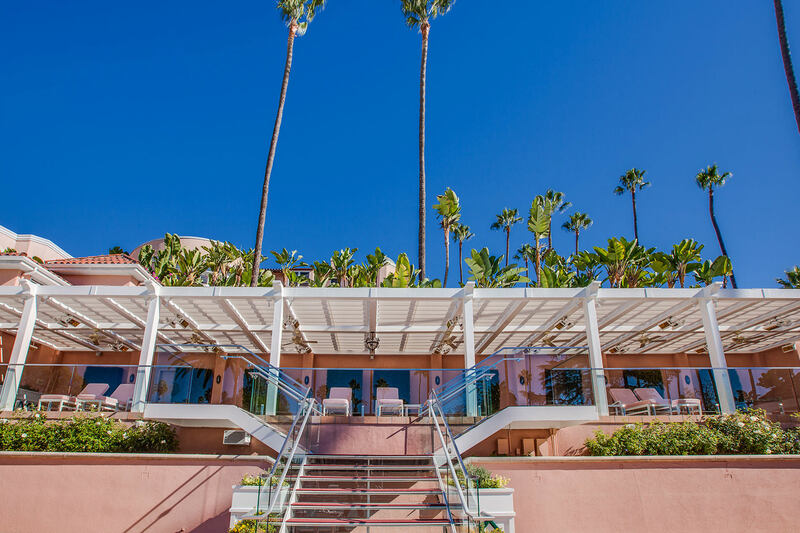 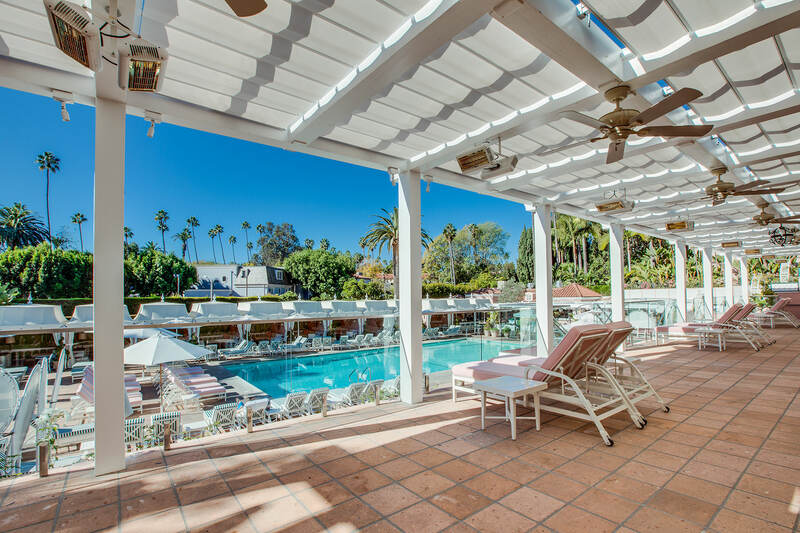 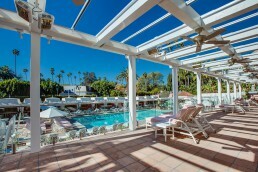 ShadeFX is proud to be protecting Hollywood’s ‘A’ listers from harmful and age accelerating UV rays here at the Historic Beverly Hills Hotel in Los Angeles. 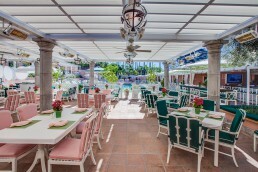 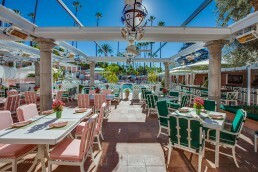 A total of fifty one retractable canopies cover the Cabana Café and the Upper Pool Deck at this world famous landmark. 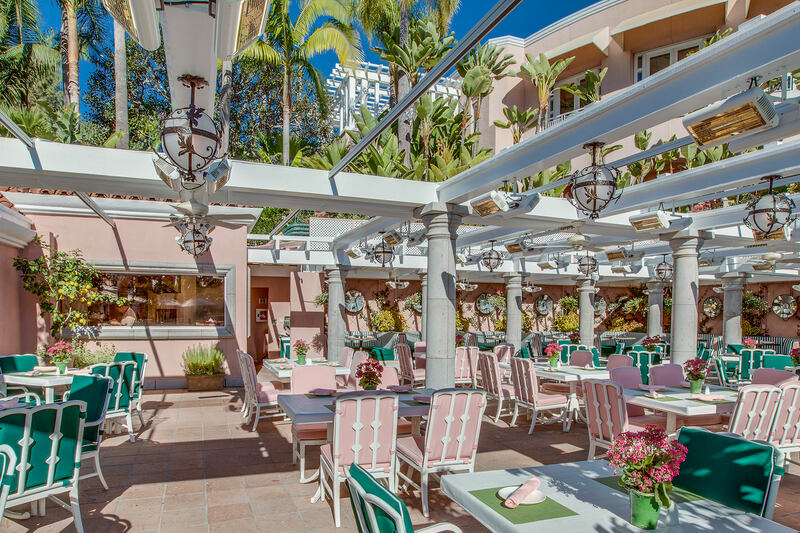 It’s been said if you look hard enough, when the light is just right, you can see the shadow of Marilyn Monroe silhouetted in canopy twenty seven.